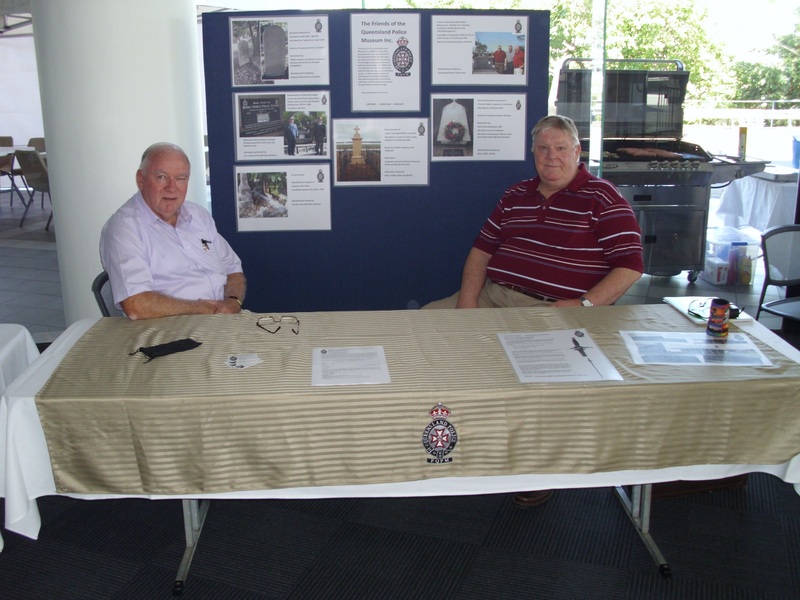 The Friends of the Queensland Police Museum (FQPM) are grateful to the Queensland Police Credit Union (QPCU), now known as QBANK, for the opportunity to set up a table at the QPCU Credit Union Day on Thursday, 17 October 2013. The event provided attendees with access to QPCU products and services, together with a free sausage sizzle and barista coffee, a live band and giveaways. Other organisations that have been in receipt of QPCU generosity were also represented such as the Queensland Police Pipes and Drums. Significant interest was shown towards the FQPM and our activities and it is hopeful that some memberships may result from the day. Bob Burns and Ian Townsley were also afforded the opportunity to make new acquaintances and contacts and to meet with old friends and former work colleagues.